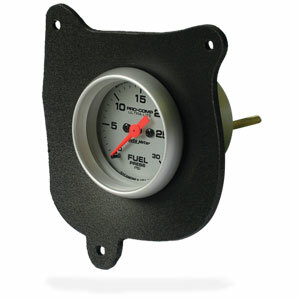 Custom made in-dash gauge installation kit for '99-'02 Dodge Ram trucks. NOTE: If this item is accompanied by a gauge order, there will be no charge for this item. Discount will be taken when order is shipped. Didn't fit without modification. Spacers were too long and left a big gap on the right side due to the curve of the dash bezel. Once modified to my liking it turned out great. It does it's job and it's pretty much what you should expect for the price. It's made out of a flexible plastic/hard foam, not super rigid plastic like I was expecting. The hole was a bit small but that was easily fixed with some sanding. Overall it's a great value.